Carnegie Mellon University Press, 9780887486074, 80pp. 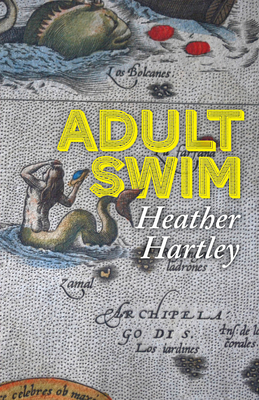 From mermaids to lovers to skinny dogs to dervishes, Heather Hartley’s second collection, Adult Swim, gathers together unlikely characters whose different stories explore the connections we share—love, loss, and laughter. Engaging, playful, and often with a dark sense of humor, the brutal and beautiful, sensual and spiritual, live side by side in poems that shift that from lyric to sonnet to elegy. HEATHER HARTLEY is the author of Knock Knock and Paris editor at Tin House magazine. Her poems, essays, and interviews have appeared on or in PBS NewsHour, The Guardian, and The Literary Review, among others. She has presented writers at Shakespeare & Company Bookshop, Paris, and her monthly column about literary Paris, “Apéritif,” appears on the Tin House website.